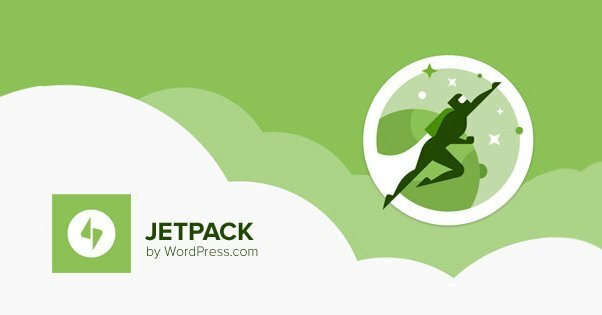 Is The Jetpack WordPress Plugin a Free or Paid Download? Pretty much every list of the top WordPress plugins out there will either include Jetpack or will discount it because everyone knows about it. DOES everyone know about it? If not, I’m here to discuss it and what it brings to the table. After all, no one is born with all of their knowledge; you have to get it from somewhere. Welcome, newbies, let’s learn! In 2005, Matt Mullenweg founded Automattic, and within that company, created WordPress. WordPress runs in two forms: WordPress.com and WordPress.org. WordPress.com is a series of hosted sites. You can register a WordPress.com website for free and run a blog with a suite of powerful but limited features. WordPress.org is the site where you can download the core WordPress software and install it on web hosting of your own. It’s self-hosted, but much more customizable than WordPress.com sites can ever be. 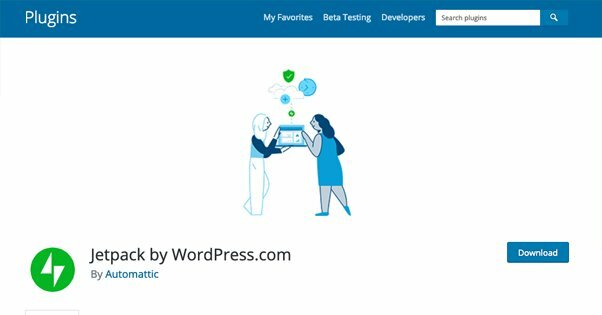 Along with a variety of different plugins and apps, ranging from Akismet and Gravatar to WooCommerce, Automattic have either bought or developed a variety of additional features. 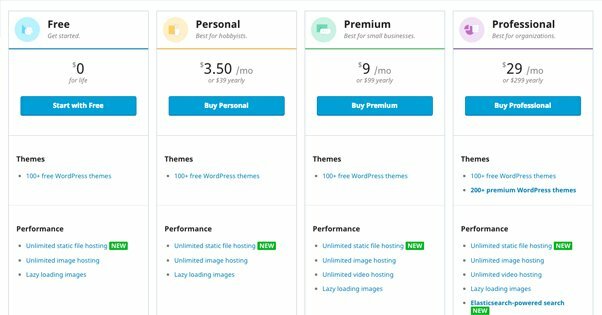 Some of these features have been rolled into WordPress.com and made available to everyone, while others are stand-alone plugins you can only install on a WordPress.org installation. If you’ve been using WordPress.com for a long time and have transitioned to WordPress.org – and there are good reasons to do so – you may wonder why it seems bare-bones. Jetpack is part of the answer, carrying with it many of the features you would recognize from WordPress.com. Let’s get right to the meat of the question. 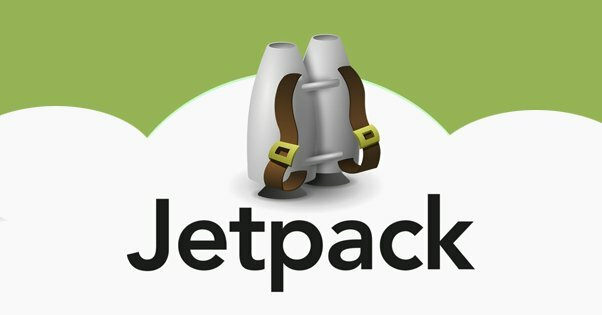 Is Jetpack free? Okay, so that’s not really that simple, is it? The fact is, it’s free right up until you want a feature they offer that you need to pay to get. 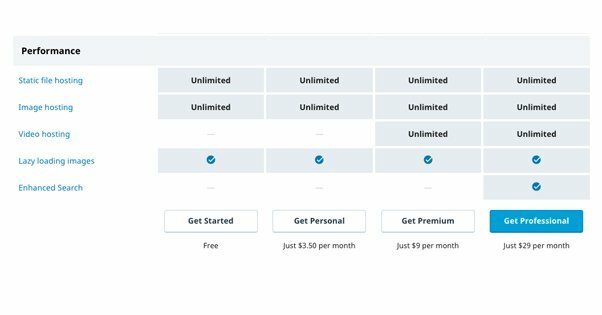 There are four available plans, one of which is free, and the others scale up in both price and features. 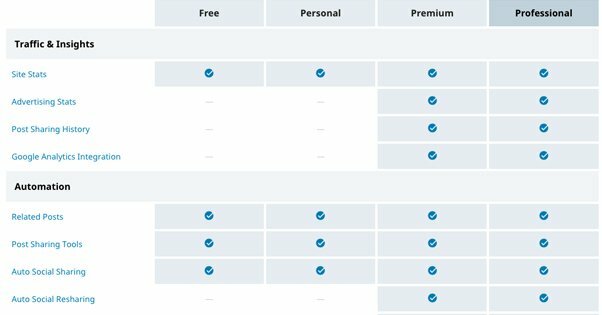 If you count what comes with WordPress.com, there are five available plans. WordPress.com plans are simply part of the default features list for a WordPress.com hosted blog. You don’t need to do anything to register or install Jetpack features, and you don’t need to pay to activate them. From what I can tell, the WordPress.com Jetpack installation is somewhere in the middle of the paid features lists. It’s hard to differentiate between what simply comes with WordPress.com and what is part of Jetpack. 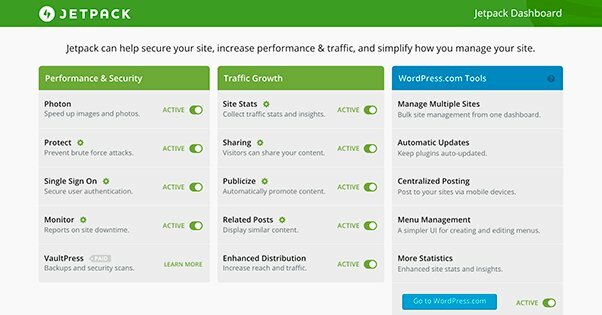 All versions of WordPress.com come with “Jetpack Essential Features.” This feature list includes site speed and performance optimizations, anti-spam protection, records of site activity, SEO fields and tips, and automatic social sharing. Additionally, the top-level Business plan for WordPress.com includes Jetpack Search, a more robust version of site search than what comes with WordPress.com on its own. I would not buy WordPress.com Business just for Jetpack Search, to be honest. I’d rather use a custom Google site search, or use the perfectly fine built-in WordPress.com search. I’ve never found site searches to be that beneficial to a page regardless, but there it is. It’s just an incidental feature for the Business plan either way. Jetpack Free is the lowest tier of Jetpack for WordPress.org installations. You can get the plugin in several different ways. Download and install the plugin just like you would any other plugin. You can find it here, in the WordPress.org plugin directory. Download and install the plugin through the Jetpack wizard. You can find the wizard here. You will need your site address (domain name) and a WordPress.com account you can use to authenticate yourself. In your wp-admin control panel, go to the Plugins section and click Add New. Find the Jetpack plugin in the in-console display and click to install it, following the prompts as you go. Free Jetpack comes with a selection of basic WordPress themes, though you are of course free to install a different theme from a different source. For customization options, this tier includes subscriptions, gallery and slideshow tools, sidebars, content embeds, infinite scrolling, custom comments, contact forms, and the ability to write posts via email and send them in for publication or scheduling. 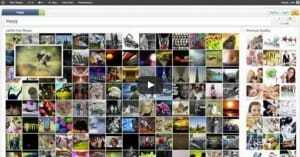 Free Jetpack includes static file hosting and image hosting, as well as lazy loading for images. You get some basic site stats, though any Google Analytics installation is going to blow them out of the water. As far as automation is concerned, Jetpack includes a related posts feature, post sharing tools, and automatic social sharing, which can replace – or be replaced by – any of these plugins. You also get site verification and XML Sitemap functionality. Free also comes with some basic security features. It protects you against brute force attacks on your login page, and gives you downtime monitoring. You get secure authentication and easy plugin management through your dashboard. Jetpack also auto-updates, to make sure it’s always free of any known security issues. Your site activity is tracked for the most recent 20 events. And, finally, you have standard-level product support. Jetpack Personal is the first of the paid plans. It costs you either $39 per year or $3.50 per month, depending on how you want to pay. Personal includes all features from Free. It gives you the same selection of themes, the same customization options, and the same performance enhancements. So what do you get as a benefit for paying? Instead of only tracking the most recent 20 events for site activity, Jetpack Personal tracks a 30-day archive of activity. You also get daily site backups with a 30-day site backup archive, unlimited backup storage space, and automatic site restores if necessary. 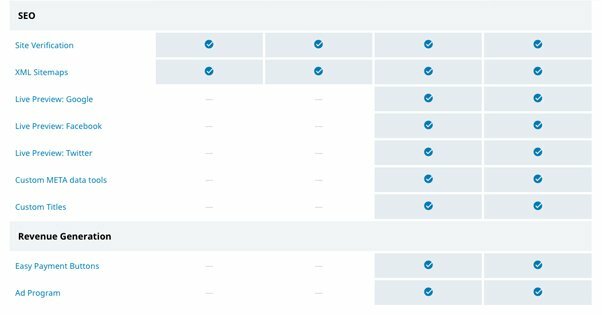 They give you site migration tools if you need to change hosts. Jetpack’s paid plans all include spam filtering from Akismet as well, so keep that in mind: if you’re paying for Jetpack, you don’t need a separate Akismet installation. Finally, you get a bit more support. Product support is bumped up to priority level, and you get security support as well. Jetpack Premium is their mid-range paid plan. It will run you either $99 per year or $9 per month, again depending on how you want to pay. 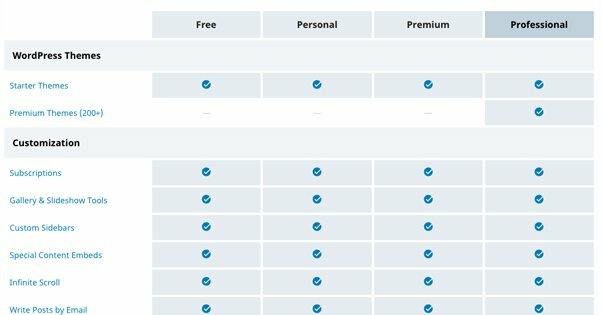 Unlike the difference between Free and Personal, Premium adds a lot more features. With Premium, you get everything you would get with Personal. You get the same themes, customizations, and so on. Additionally, you get unlimited video hosting, rather than just static media. Premium gives you more analytics as well. You get advertising stats, post sharing history, and the ability to integrate Google Analytics with Jetpack statistics. You get automatic social re-sharing, which is the ability to recirculate your posts automatically a few times over the course of a month or so. You get social share scheduling as well, rather than just triggering those shares when you publish a post. You gain more SEO features too. You’ll get live previews of how your site will look on Google, Facebook, and Twitter. You can adjust your meta data, and create custom titles. 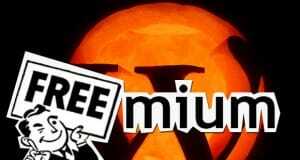 Though, of course, you can always just use one of the hundreds of free SEO plugins to do that too. Premium also gives you easy payment buttons and access to the ads program. Backups and security are all the same, except you get daily malware scans, and you can get a 1-on-1 consultation for support if you need it. Jetpack Professional is their final, top-tier paid plan that includes everything. It will cost you either $299 per year or $29 per month. Professional, of course, includes everything from Premium but better. In addition to the starter themes, they give you over 200 more premium themes to pick through. You get the enhanced Site Search, and your archive of site activity goes from 30 days to a full year. Other features are enhanced as well. Site backups become real time, and your archive becomes unlimited. Malware scanning is also accessible on demand instead of on a daily schedule. You also get theme support on top of the other forms of support offered by Jetpack. 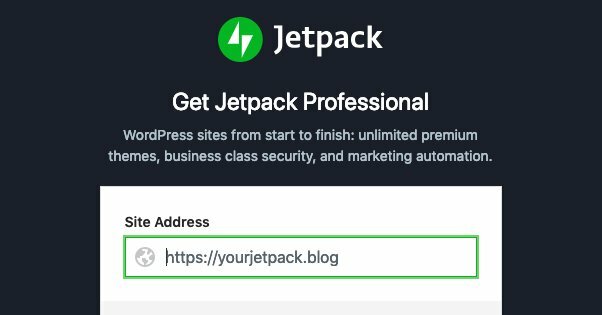 So here’s a question: is Jetpack worthwhile for your WordPress installation? I would say yes, though part of it depends on how much you want to tinker with other plugins. Pretty much nothing Jetpack does is unique. Every feature it brings to the table is something you can have done with another plugin. Jetpack for free gives you some basic features that are nice for everyone to have, and the paid versions give you some nice tools. Is it worthwhile to pay for Jetpack? That depends. If you’re willing to install five or six different plugins to mimic the features Jetpack gives you, you can get Jetpack’s premium features essentially for free. On the other hand, the more plugins you have, the more maintenance you have to do. You have to keep all of those plugins up to date, and you have to make sure there are no conflicts between them. You also have to manage different features through different dashboards, which can be a bit of a hassle. That said, some features offered by Jetpack are offered in a more robust fashion in other ways through other tools. I would not pay for Professional just for the premium themes. There are a huge number of themes out there to pick from, and most of the paid themes are one-time fees much lower than what Jetpack costs. Third party hosting for media isn’t super important. Free Jetpack gives you unlimited hosting for static files, and Video can simply be hosted on YouTube or Vimeo and embedded instead of hosted. Alternatively, you can always subscribe to a CDN. Analytics from Jetpack are going to be fairly minimal. You can always use one of many plugins to link Google Analytics to your WordPress.org site without needing to pay for it. The automation features Jetpack offers are fine. I don’t know that re-sharing and share scheduling are worth paying for, but that’s up to you and how useful they are to you. SEO features from Jetpack, even at the top level, are minimal compared to what you get from WordPress SEO by Yoast. I would always recommend using something like Yoast instead, even if you’re paying for Jetpack. Security from Jetpack is decent enough. You can expand it with other security-focused plugins, but it does the basics so you don’t necessarily have to worry, so long as you have a strong password you aren’t sharing with other, potentially compromised accounts. Site backups are useful and the higher tier paid plans from Jetpack are all very nice to have. Whether real time backups are better for you than daily archives depends on how active your site is. Better backup plugins exist, but Jetpack’s are fine. So all in all, Jetpack is a lot of features of a lot of different plugins all rolled into one. None of them are done exceptionally well, but the fact that they’re not going to cause site load delays or conflicts is a benefit you have to consider. Personally, I recommend Jetpack’s free version and a suite of more advanced plugins, but I don’t mind the work. If you’d rather pay a monthly fee to have it all in one place, that’s perfectly fine.